Tony McDonald has written in the November 2018 edition of Innovations in Food Processing and Packaging Magazine that “Brexit is set to change the labour landscape in just a few short years”, and he describes how “for investors in automation, Brexit is not a threat – it’s an opportunity”. “One of the main barriers to greater uptake of automation”, says McDonald “is the cost of unskilled labour versus investment in technology. Thanks to the EU’s free movement of workers, Britain… has benefited from cheap labour for a number of years”. However, he is keen to stress that “using automation for repetitive or dangerous tasks protects the remaining workforce, leaving employees free to be upskilled and take on more rewarding roles. Far from replacing human employees, [automation] can actually help to increase staff retention levels”. If you are a small business concerned about the potential effects of Brexit, and would like to find out more about taking your first steps into automation, Adelphi are on hand to help. We have a long standing relationship with our client LittlePod, the only manufacturer of real vanilla paste in the UK, who in a recent interview were pleased to describe how Adelphi’s Sales Director Dean Willis has “monitored our company’s growth, and recommended machines accordingly, making sure we don’t overstretch our resources”. 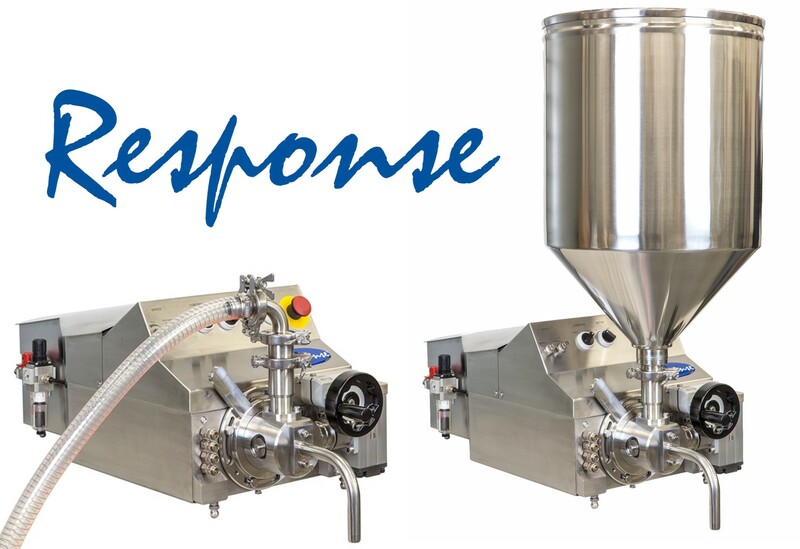 Back in 2012, Adelphi were pleased to manufacture the Response benchtop filler to suit LittlePod’s needs; a semi-automatic unit, the Response efficiently fills a wide range of product viscosities, including LittlePod’s extracts and pastes, with equal ease. The Response is quick to assemble and clean, meaning that changing between products and containers is as easy as possible and production downtime is kept to a minimum; LittlePod can swiftly switch from filling paste into 100ml aluminium tubes, to extracts in 100ml glass bottles, as required. Currently, LittlePod are in discussions with Adelphi Manufacturing about their next step into a more fully automated line. Their Managing Director Janet Sawyer has been quick to stress the importance of LittlePod’s “organic growth”, assisted by Adelphi, which has seen automation gradually applied to her unique business without compromising the values at its heart. A trusted UK manufacturer, Adelphi are always on hand to answer queries and to ensure prompt machine servicing and maintenance. To find out more about how we can help automate your business, please don’t hesitate to contact us on 01444 472300 or email info@adelphi.uk.com.